The "Daily top 100" playlists were launched in 2018, and feature what Apple Music listeners in countries across the world have been listening to. 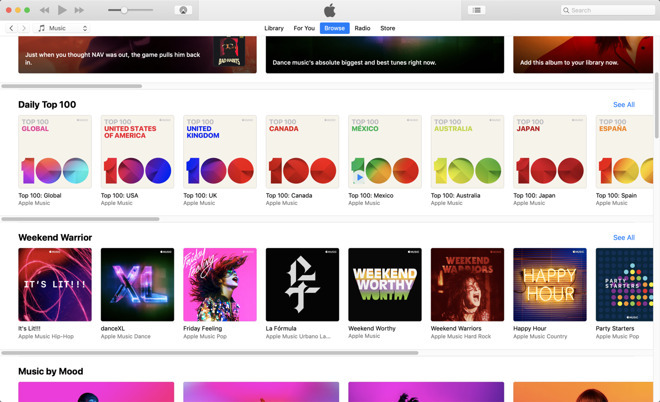 Another new addition is the "We're Loving" section, which are curated album selections by Apple Music staff. Most of the rest of the tab is unchanged. For March 22, additions include a "Weekend Warrior" section, which is likely just for Friday, and another section that has appeared for most of the month called "Visionary Women." 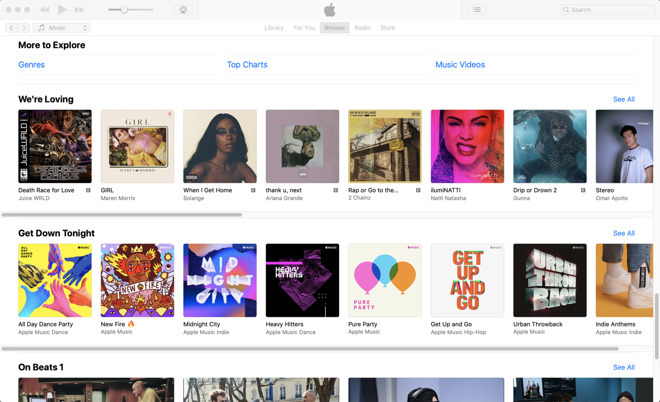 Apple added 116 "Daily Top 100" playlists, with the lists updating at 12 a.m. Pacific time. The addition of the charts arrived at a time when the power of streaming services in measuring a song's popularity is being viewed differently. Major charts around the world have updated how they calculate a song's positions in the charts, due to the altered changing spending habits of consumers, opting to listen to streams instead of buying tracks or albums outright. In July 2018, just prior to the addition, Drake topped the Billboard 200 album chart under refreshed rules, where streams were given more weight if they were made through a paid subscription, as opposed to a streaming service. In that week, Drake set a new one-week record for audio streams from a single album in the U.S., achieving over 745 million streams.